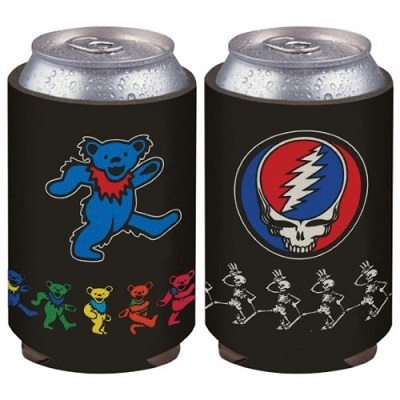 The first koozie features a Steal Your Face with dancing skeletons all around the bottom rim and says "Grateful Dead" on the back with a 13 point bolt. The second koozie features a dancing bear with dancing bears all around the bottom rim. The back also says "Grateful Dead" with a 13 point bolt.